Tompkins County is fortunate to host many different places where one can obtain free food or prepared meals. Food pantries and hot meals are listed in the two calendars below. You can also print out a list of these food distribution site names and locations. Do you qualify for food stamps or WIC? Find out using the My Benefits NY website. 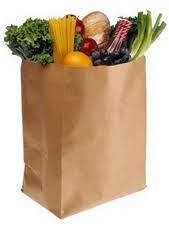 View the map of local food pantries and meals. Click a blue balloon on the map for details.